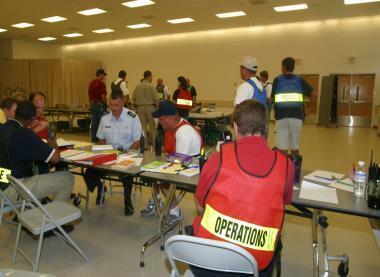 This training is designed to provide all-hazards competencies and behaviors for Command and General Staff and selected Unit Leader positions within a Type III and/or Type IV Incident Management Team (IMT) environment. Needed by personnel responsible for managing incidents of greater complexity than those typically encountered during routine operations. 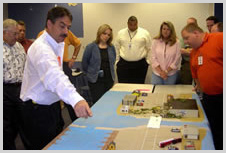 Training your staff to respond properly to an emergency in accordance with your disaster plan is essential to successfully weathering a crisis situation. We work with you to help identify your risk exposure and to customize a training program to prepare for emergencies, to operate effectively during crises, and to mitigate losses from disasters. In addition, our services include development of complete customized programs, conduct and evaluation of exercises, and design of comprehensive emergency scenarios for dealing with all hazards or for a specific hazard, such as a hurricane or terrorist event.